When it comes to ESD protection, reliability should never be in question. 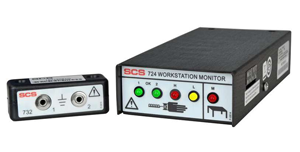 And, with features suited for a variety of unique environments and applications, an SCS workstation monitor can offer your best defense against overvoltage and potential damage caused by electrostatic discharge. SCS offers three levels of protection to address varying requirements — so whether your focus is simple installation or communication across an entire network, you’ll find the ideal fit for any application. Need help with selecting the right ESD monitor? Contact us! Connect with All-Spec for more information on SCS Workstation Monitors. Simply complete the form below and we’ll be in touch. Visible and audible alarms indicate improper grounding of the operator and work surface. 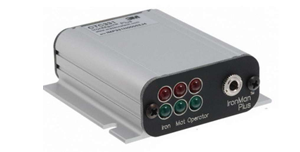 Applies a low test voltage to the operator (0.40V) for the handling of sensitive components. Alarms if overvoltage from a tool is applied to a circuit board under assembly. Current research indicates that voltages and spikes less than 0.5V are acceptable. 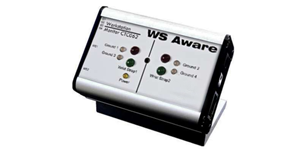 Alarms if the operator generates or comes in contact with a voltage that would be dangerous to an ESD-susceptible item. Applies an ultra-low test voltage to the operator (0.50V) for the handling of sensitive components. Continuously monitors the path-to-ground integrity of two operators, two conductive or dissipative work surfaces, and two metal tools; meets ANSI/ESD S20.20 in accordance with ESD TR1.0-01-01. Alarms of the grounded metal tools have high-frequency noise that could cause electrical overstress (EOS) damage. Provides network communication with static management program.